We are a small caravan site in rural North West Essex. 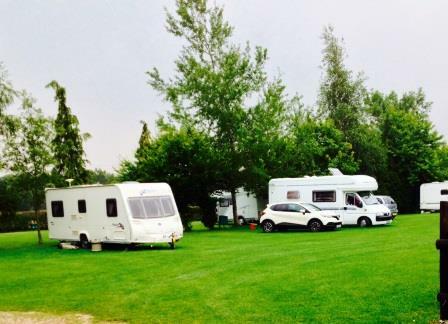 Our quiet well maintained and level caravan site is easy to access. Set away from the main road, it is surrounded by hedging and trees with easy access to nearby footpaths, making it safe for families. On site there is a centrally located water tap, dustbin area and shower block with separate ladies and gents showers, toilets, hot water wash basins and all pitches have 240V electric hook-ups. New for 2017 - Area for washing dishes and food preparation with hot and cold water. We are a short drive from local activities like fishing, horse riding and a golf course, the Imperial War Museum at Duxford, Audley End House, as well as the historic and picturesque towns of Saffron Walden and Thaxted.